The Super Bowl is less than a week away - and we could not be more excited. We’re already starting to see brands releasing their spots ahead of the Big Game in what promises to be a titanic battle for consumer attention. However, one ad we will not be seeing during CBS’s broadcast this Sunday is this ad from Acreage Holdings. The 60-second ad from the marijuana and cannabis investment company makes an emotional case for the federal legalisation of medical marijuana in the US by profiling three people whose lives have been transformed because of it. It’s currently legal in 30 states. One is a mum whose young boy suffers hundreds of seizures every day. We also meet a man addicted to opioids and a veteran who suffers from intense pain since having his leg amputated. They all describe how medical marijuana has helped them cope. But CBS was not moved, insisting the ad could not be aired during the Super Bowl because they do not broadcast ads for marijuana. Realeyes is going to be testing all of the ads shown during Sunday’s Big Game broadcast using our #emotionAI technology. However, we wanted to look at how the ad would have fared if it had been broadcast this weekend. Attention: By looking at someone’s body and head position using webcams, we can measure just how much attention an ad is generating. Are you getting viewer attention and are you keeping it? Attention is the gatekeeper of advertising - without it, everything else suffers. 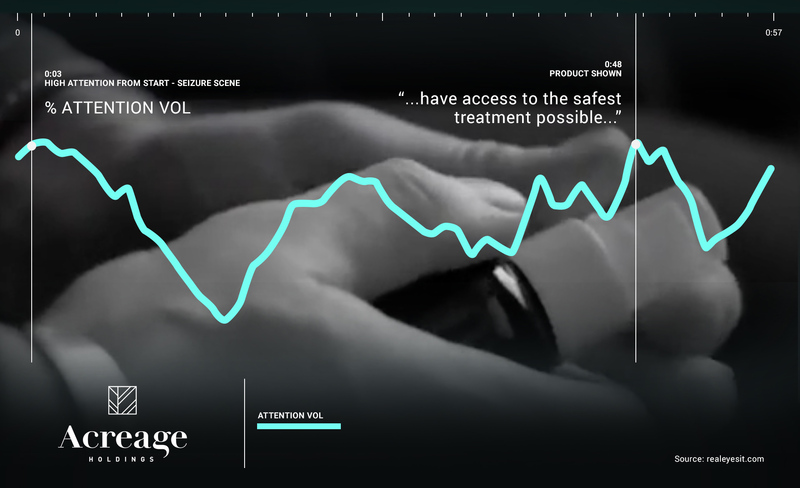 Emotions: As with attention, we use webcams to measure the emotions people feel while watching your content? Are you capturing the right emotional reaction? Are they smiling or frowning? What parts of the ad are causing a negative or positive response? Brand survey: What are viewers actually saying about the ad? Sentiment Analysis: AI instantly captures the overall sentiment of the audience and categorises the statements by positive, negative or neutral scores, enabling you to instantly see the the 'why' behind the 'what'. The ad opens up with a difficult scene of a boy having a seizure, significantly raising level of confusion combined with a high volume of attention. The spot has some incredibly emotional scenes, but confusion was the most dominant emotion people felt while watching. As you can see from the chart below, which shows the emotional traces of viewers while watching, confusion levels were a lot more pronounced than other emotions. In fact, almost half of viewers (44.5%) found the ad confusing - 51% higher than the average ad in the sector. 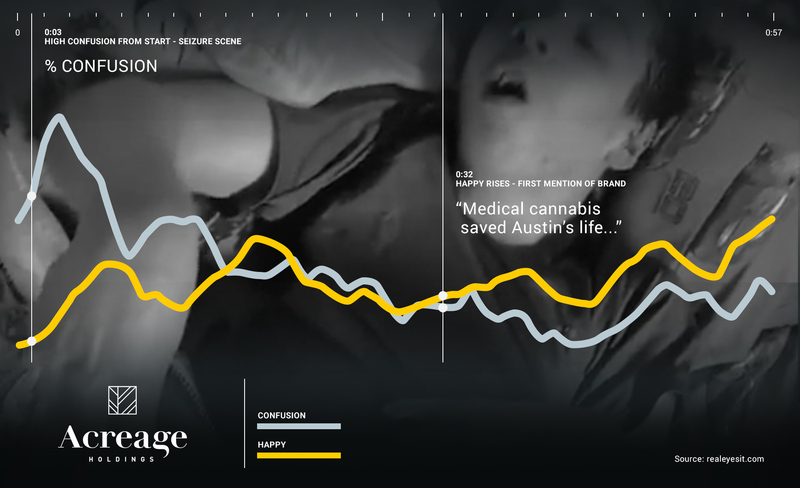 With the word ‘medical marijuana’ not mentioned until 35 seconds in, confusion levels were particularly high at the start, as viewers tried to understand what the video was about. 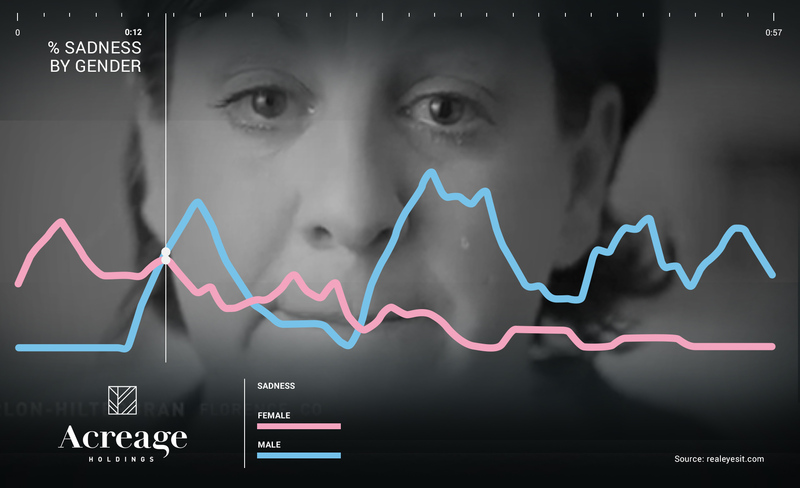 When looking at the emotional traces of men and women (chart below), it’s men that found the ad much sadder. Fifteen percent sadder, to be exact. In fact, the ad was 35% more likely to make men upset than the average ad in the sector, particularly during the second half of the video. Meanwhile, women, who on average are more likely than men to show signs of sadness while watching ads, were 10% less sad. Women’s sadness levels peak at the start of the video, during the scene showing the mum and her son, and then tail off for the rest of the 60-second spot. Should the ad have been aired? Well, based on the small sample audience we tested, the answer was an unequivocal ‘yes’. 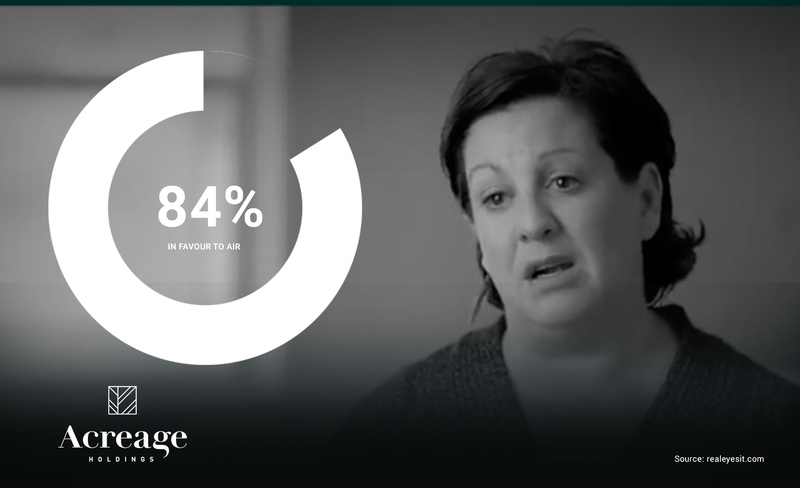 When asked, 84% thought the ad should not have been banned from being aired. > Find out more about Realeyes’ #emotionAI tech.